We pride ourselves on providing the best advice to our clients to ensure selected flooring meets the functional needs and colour palette of any project big or small. 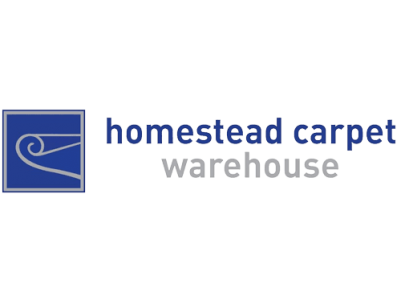 Generations of Ballarat and Victorian families and businesses come back time and time again to purchase their floor coverings from us, and to experience the Homestead Carpets difference! We’ve been in business here in Ballarat for over 20 years, and are family owned and operated. That’s a whole load of experience in carpet, vinyl and floor covering installation! No, we’re not old… we’re EXPERIENCED! We supply carpet, vinyl and Bamboo flooring to Ballarat AND Victoria. (and sometimes even further afield!) We go everywhere man! We’ve got you covered whether you live in Ballarat, or move to Pinaroo. Have a holiday house at the beach? We’ll cover you there too! Our warehouse in Wendouree, Ballarat is FULL of stock! When you choose from our extensive range of stock you get your carpet or vinyl on the floor Super Fast! And our professional installers are like super heroes! We are not members of a buying group or a Franchise! We don’t have the costs and constraints of a middle man. That means Gigantic Savings to you! Money in YOUR pocket! How awesome is that! Our showroom has hundreds of samples of carpet and vinyl from a huge range of leading manufacturers! You get almost unlimited choices! We’ve got a monumental range of colours and styles ready to order from. If we don’t have want you want, you’re either impossible to please or searching for something that doesn’t exist! We offer Bulk Warehouse Pricing! We buy our warehouse stock in bulk so we get special prices from our nice suppliers. Then we make you feel special too by passing those savings onto you! We have a team of dedicated, professional, specialised sales people, offering you one on one service before, during and after installation! These people are our walking encyclopedias of floor covering information. You can use their knowledge to help make an informed decision about your new carpet or vinyl. Customer satisfaction is their life! Did we mention our great prices? Or, our massive range of stock and samples? How about our experienced installers and unique customer service? Yes? Ok, then! So now you’ve got the picture…. More choice, better prices! From our family to yours!